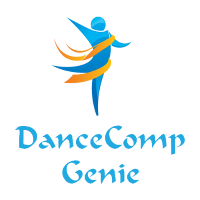 The ADCC produces a periodic e-newsletter for a broad readership, including dance competitions and conventions, dance studios, and anyone with an interest in the dance competition industry. Regular features include all the latest industry news, plus features on new ADCC Members, Vendor Affiliates and Business Partners, ADCC Scholarship winners, recent Studio of Excellence winners, Industry Award and Lifetime Achievement Award winners, and a Platinum Member Spotlight. Click on the links below to view the latest issues of The ADCC Newsletter online!